The possibilities are endless with the use of our glass showcase. 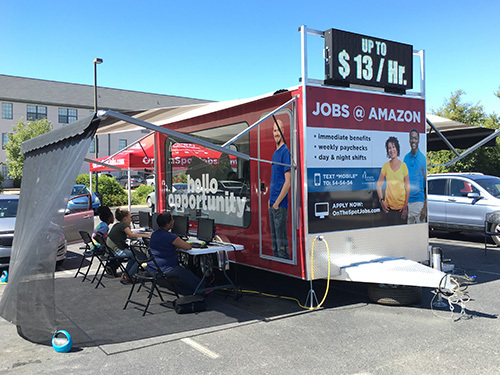 This custom display vehicle offers the ability to showcase products and services through a scene display. The display is designed to be set-up stationary or can be mobile when combined with our matching Ram tow vehicle. The advantage of this display is the ability to offer consumer interaction (ability for pedestrian traffic to easily enter and exit the display) as well as the ability for the tow vehicle to carry additional product and equipment for static displays. 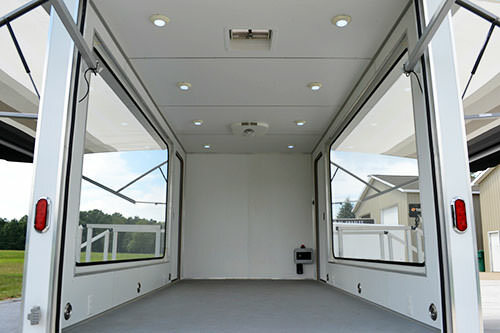 The mobile scene possibilities include: product showcase, office environment, furniture display, tourism setting, etc. The option exists to incorporate real life models to act in your scene. Let your imagination run wild as you create a setting that showcases your product, company, or image. 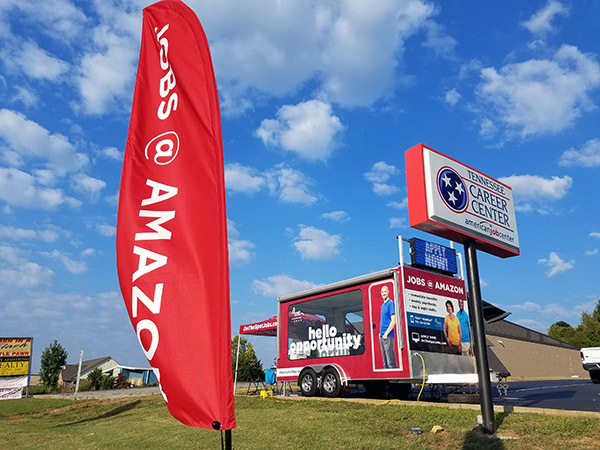 Branding via full or partial wrap of the display trailer and/or tow vehicle as well as endless build out possibilities and staging under the awnings on both sides of the display makes this a can’t miss advertising opportunity. 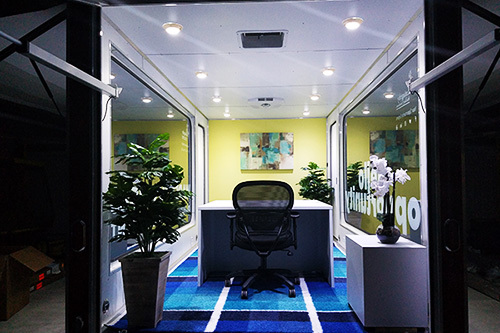 Contact us today to Go Mobile by adding a mobile billboard campaign to your marketing plan.